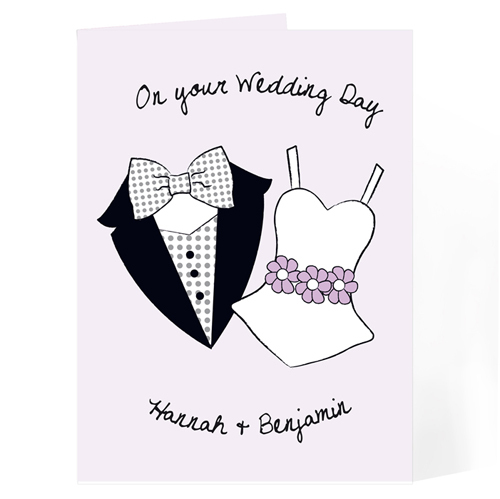 Personalise this On Your Wedding Day Card with two names, each up to 12 characters on the front. Inside the card add a message of up to 5 lines of 20 characters. 'On Your Wedding Day' and '&' is fixed text.